I participated in a campaign on behalf of Mom Central Consulting for Pure Leaf. I received product samples to facilitate my review and a promotional item as a thank you for participating. All opinions are my own. We don't buy soda around here—to be honest, if I'm going to drink something aside from water, it's going to be either coffee (in the morning) or beer (probably Blue Moon, probably with dinner, probably a couple times a week). 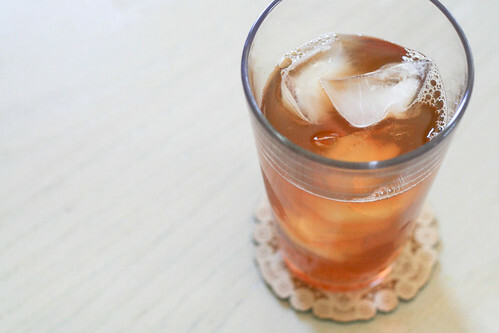 When I was contacted about doing this review, I thought it would be a good fit, because I would be much more eager to purchase iced tea as opposed to any sort of soda during one of my weekly shopping trips. In fact, I have some powdered iced tea that I've been drinking here and there for the past couple months (the kind you just stir into a glass of water), but every time I drink it, I'm a little bit annoyed by how many ingredients are in a tiny packet of iced tea powder. It seems suspicious. I'm by no means a health nut, but I've been paying much more attention to labels for the past year-or-so, and I was curious about what Pure Leaf had to offer. I was given a variety of the teas, but this one was by far my favorite—which kind of surprised me. I singled this one out immediately, because I like that it had only two ingredients on the label: brewed tea and citric acid (a natural preservative—yep, I had to Google that to be sure). I'm not typically drawn to completely unsweetened beverages (hello, sweet tooth), but I think this flavor worked so well for me because it reminds me so much of the tea my mom used to make when I was a little girl. She called it "sun tea" and it was brewed in a big glass container out in the sunshine. I don't think I even really liked it as a kid (without any sweetening, it's not something that a typical child will enjoy), but I remember drinking it because I wanted so much to be like my mom. I like that this tea reminded me so much of that memory. Yep, indeed, it is quite delicious. No sugar needed. Maybe I'm a real grown-up now that I prefer this to some intensely-sweet beverage. Who knows? Pure Leaf also provided me with a couple of their new, Not Too Sweet flavors. I tried their Peach Tea version, which I thought was fantastic. It reminded me of a Snapple peach tea, but was less aggressively-peach. To be fair, I had Jay try it, too. He took a huge swig, shrugged his shoulders, and went on with his day. He was pretty take-it-or-leave-it about the whole thing. But I feel like I, personally, would be much more inclined to grab one of these in the grocery store before an afternoon at the beach, or perhaps as a treat for myself if they're on sale and I'm just really craving something other than water. These teas are not something I'd purchase on a regular basis, but I do see them as a treat that I would love to try again. I'm impressed with their flavor and variety and non-chemical sweeteners. (If I'm going to spend money on something like this, I'd prefer to not have it include an ingredient label a mile long.) I'm glad I had the chance to try them out! Pretty darn delicious. 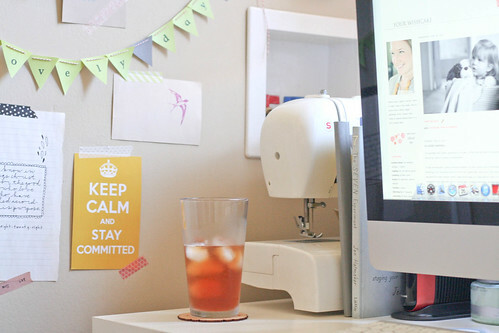 If you're a Facebook kind-of-a-person, you can visit their page here: https://www.facebook.com/PureLeaf. Turkey Hill is my absolute favorite! :) I love the Pure Leaf Raspberry too! Every time I think I couldn't possibly adore you more! 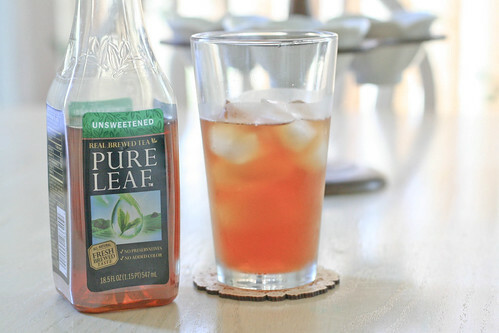 I love pure leaf unsweetened annnnd also think it is like glorious sun tea! 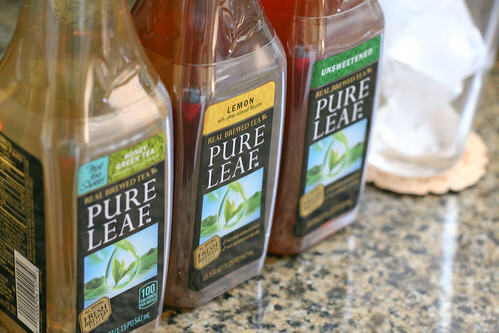 My daddy is a big instant tea drinker in the winter when it's harder to make sun tea but I kinda think it's vile. Please still love me.